Experienced and knowledgeable business advisors are of paramount importance to your ability to operate effectively. 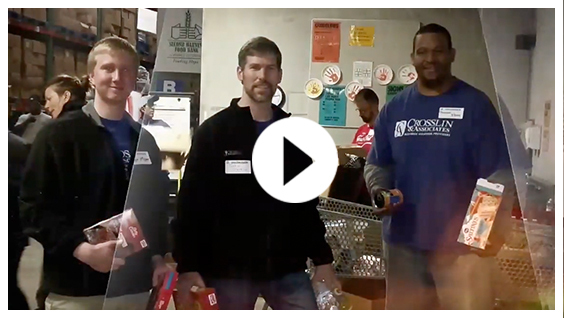 To that end, working with organizations in the not-for-profit and governmental arena is a specialty of Crosslin – we have been working with these types of entities for nearly 30 years. We currently serve close to 100 not-for-profit organizations and governmental entities and provide them with a wide variety of services, including audits, internal control reviews, SSAE16 resources, bond registration services, NCAA compliance, and management consulting. We work closely with our governmental and not-for-profit customers to ensure that their organizations run as smoothly and efficiently as possible. Our extensive experience provides us with understanding of the specific issues and risks faced by not-for-profit and governmental entities. Our team members combined have more than 75 years of not-for-profit and governmental experience among them. With unsurpassed experience in auditing not-for-profit and governmental entities, Crosslin can undoubtedly provide you with unparalleled quality and immeasurable customer service. Our firm devotes special resources to our governmental customers in an effort to keep them up to date on recent happenings within the not-for-profit and governmental arena. In addition to our practical audit experience with not-for-profit and governmental organizations, we have experience in assisting our customers in the implementation of new accounting and reporting requirements, trends, and practices. We frequently host seminars and programs for our governmental customers related to the specialized requirements of this type of accounting. Crosslin's Asssurance Services focus on data security, performance, quality control and minimizing environmental risks. Since our firm was founded in 1987, Crosslin has completed consulting projects for more than 100 different public sector entities. Crosslin benchmarks the internal control systems of organizations to evaluate the effectiveness of their operating processes. Crosslin recognizes the importance of payroll and tax issues, staffing challenges, and HR issues to not-for-profit and government entities. Even if an organization is recognized as tax-exempt, an entity may still be liable for tax on its unrelated business income. In a competitive labor market organizations should view employee benefits as a tool to retain key employees and minimize turnover.